For centuries, Great Britain's castles were the literal and political high points of their communities. Designed to keep people out, today these formidable structures are wide open to visitors and appreciated for their romantic allure. Adults and kids alike love a good castle — who can resist the appeal of drawbridges, secret passageways, and pointy turrets towering over a moat? Much of the fun of a visit to a castle comes from learning the nitty-gritty facts about what life was really like for its inhabitants. Life in the Middle Ages was actually a lot like the people then: nasty, brutish, and short. Most countryside castles began not as palaces for princes, but as armored bunkers, with all the romance of a fallout shelter. Sure, they had a lofty tower or two, but only to spot trespassers and to give attackers second thoughts. And while your home may be far less impressive on the outside than the castles you'll see, you'll definitely come away with a renewed appreciation for the state of your plumbing. The habit of castle building came to Britain with William the Conqueror in 1066. To protect himself and his invading Norman force, William left a trail of wooden forts throughout the land. They were in the classic "motte-and-bailey" design, with an earthen mound — the motte — providing a lookout tower for the stockade encircling the protected area — the bailey. One of the first was at Windsor, high above the Thames River, built to secure the western approach to London (and today an easy day trip away). Over time, later monarchs spiffed up the original fortress, and today's stone heap — with sprawling grounds and lavish staterooms — is said to be the largest and oldest occupied castle in the world. It's been the official home of England's royal family for 900 years. 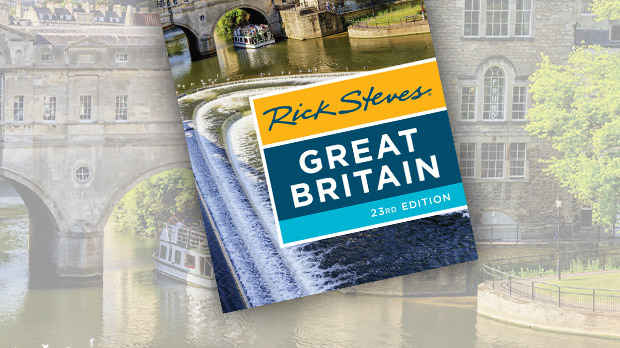 Windsor may be the biggest of England's castles, but the award for most spectacular goes to Warwick (just north of Stratford), with its lush, green, grassy moat and fairy-tale fortifications. It too was originally built at William the Conqueror's command and then gradually rebuilt in stone throughout the Middle Ages by the earls of Warwick. The current earl has turned to professionals to wring maximum tourist dollars from his home, and the greedy feel of the place can be a little annoying. But there's something for every taste — an educational armory, a terrible torture chamber, a queenly garden, merry bands of musical jesters, and a peacock-patrolled, picnic-perfect park. Even with its crowds of modern-day barbarians and its robber-baron entry fee, Warwick's worthwhile. The biggest concentration of castles is in Wales, said to have more per square mile than any place in Europe. And most of them are English castles, built in the 13th century by King Edward I to establish his rule over the feisty Welsh. The greatest of Edward's castles — like Caernarfon and Conwy — were true engineering feats of their time. Their towers were round, with no corners to knock off, making them tougher to break through. Their castle-within-a-castle floor plan gave defenders a place to retreat and wreak havoc on the advancing enemy, or just wait for reinforcements. And every castle Edward built had a river or sea exit, so he could resupply — or escape — on the water. 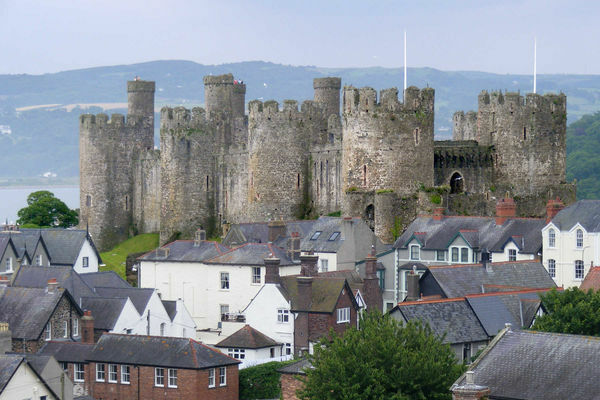 Conwy Castle — my personal favorite — is dramatically sited on a rock overlooking the sea, with eight mighty drum towers. It was a power statement from the English king to the Welsh — who had little more than bows and arrows to fight with. The castle is built on solid rock, making it impossible for Welsh malcontents to tunnel underneath the walls. The English paid dearly for Conwy’s construction through heavy taxes. And today, with the Welsh flag proudly flying from its top, the English happily pay again just to visit. Because British castles often protected key roads and rivers, many of them match up with the main sightseer circuit. More than a few are jazzed up with battle reenactments, sound-and-light shows, catapult demos, dress-up costumes, and medieval banquets. But beyond the touristy venues are the castles I prefer — the forgotten ones. Medieval fortresses are rotting away throughout Britain, their stones picked over and carted away to build other things. 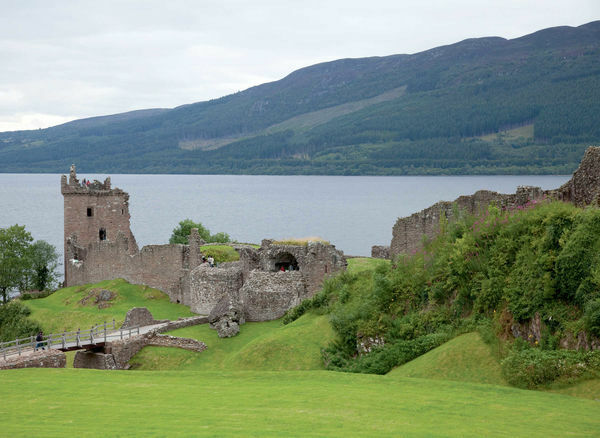 In Scotland, St. Andrews Castle is an evocative empty shell that invites you to fill-in-the-moat, and the ruins at Urquhart Castle, on Loch Ness, are gloriously situated with a view of virtually the entire lake. The grassy hilltop at the textbook motte-and-bailey Norman ruins at Pickering, in the North York Moors, is perfect for understanding the fort’s strategic location. These landmarks from times past tell their stories all over Great Britain. 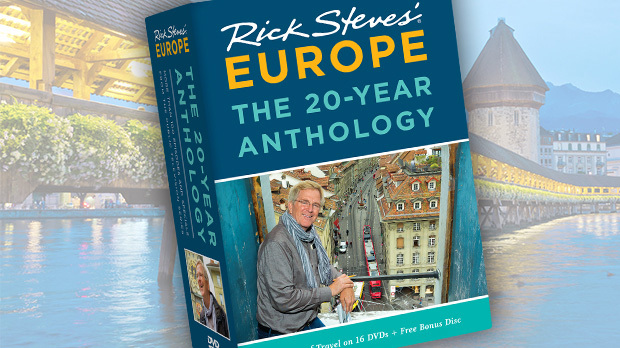 Make time for both castle types — some forgotten, some discovered — in your itinerary. You'll find castle thrills lurking in every direction.